Want to give your child an opportunity to start building their social skills without committing to full time daycare. The Pre K-2 Program is designed to give families a chance to expose their child to the classroom environment on a part-time basis. Your child will work on developing social skills, engage their creative side with art and sensory materials, and interact with other children their age. Music and art activities are planned to promote creative development and self-expression. Gross motor skills are supported through throwing, climbing, balancing, jumping, running, marching and playing outdoor games. Early math activities build the foundation for future mastery of number skills and logical thinking. Enrich vocabulary through reading and thematic units such as animals, insects, weather, seasons, and more. Give your child a head-start in the educational process by enrolling him or her in our Pre K-2 Program. 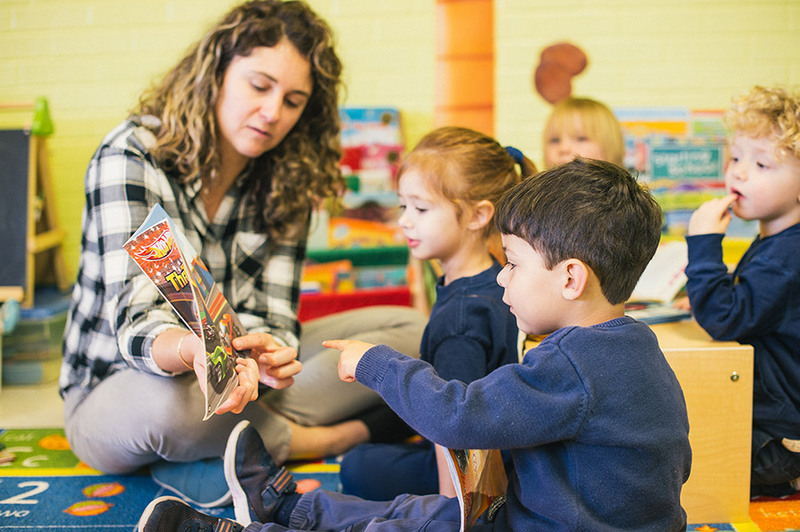 Pre K-2 program is available two days a week – Tuesday and Thursday from 8:30 am to 2:30 pm.